Just over 5 years ago we did our first event in Brighton and it’s with much pleasure that we finally announce our full debut event at Concorde 2 in February. 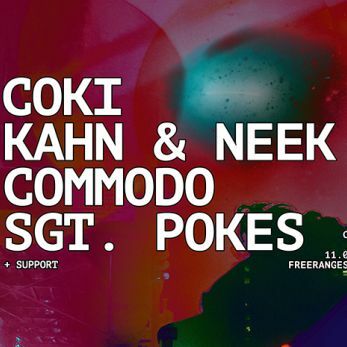 Bringing down some firm Freerange favourites in the shape of Coki, Kahn & Neek, Commodo and Sgt. Pokes this is sure to be a proper 140 party. All artists are dubstep pioneers in their own right so expect sternum rattling bass all evening. Tickets from £6 grab them fast!